Mechanicsburg – Williams Grove Speedway will present the season finale, feature’s only Fall Fest racing program this Saturday, October 18 at 5:30 pm. The show will include a total of four main events; one each for the 410 sprints, 358 sprints, 358 limited late models and the super sportsman. There will be no qualifying heat races for the year-end event, just feature only racing action only! The invitational features program will see feature lineups set by luck of an inversion draw. Fans can expect to see the top competitors from all four divisions in action this one last time before the season closes. 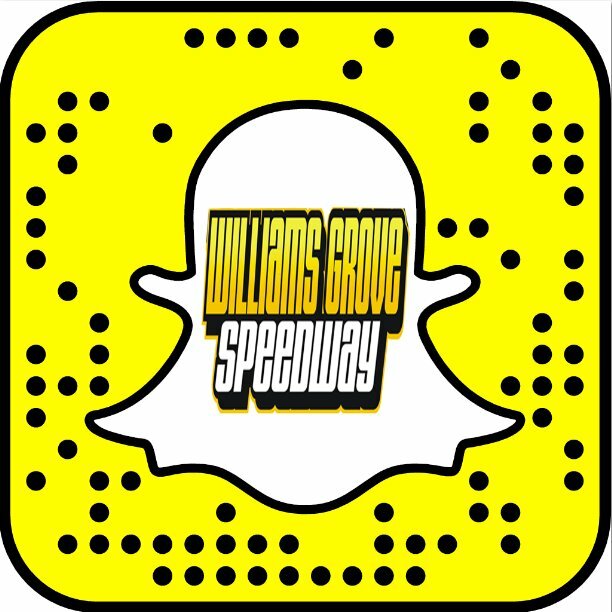 Don’t miss this exciting final racing program of the season at Williams Grove Speedway! Greg Hodnett and car owner Mike Heffner have claimed the 2014 Lawrence Chevrolet 410 sprint Williams Grove Speedway point title worth $20,000 and they will receive their laurels during the program. The duo will also receive honors as the 2014 Williams Grove Diamond Series titlists. Also being bestowed a season crown will be Tool Shed of America 358 sprint champion Kevin Nouse. The top 10 drivers in season points in both sprint car divisions will receive their accolades as well along with the bestowment of division special awards. A pig roast will also take place in the pit area prior to and during the racing program. Adult general admission for this week’s show is set at just $15 with youth ages 13 – 20 priced at just $8. 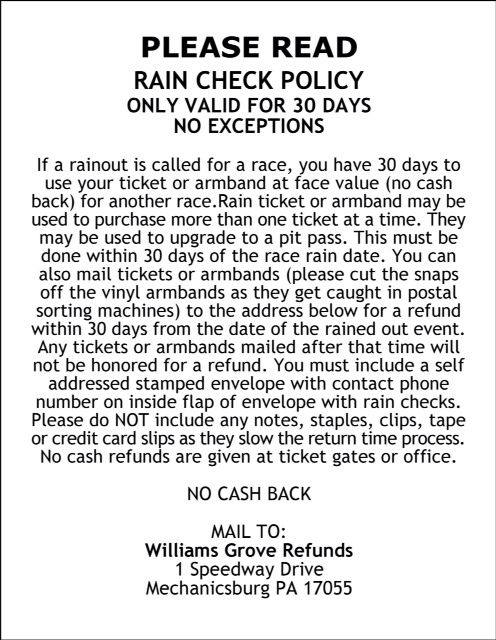 And remember, youth ages 12 and under are always admitted for FREE at Williams Grove Speedway.